Before I embarked on the journey we know now as JohnHart, I had a vision – an idea that wouldn’t leave my mind – a problem that needed to be solved. Fast forward to JohnHart Real Estate. We created this company for one reason: to combine efficiency and quality to give you the best service you will receive, and every single day we stay true to that mission and continue to improve. It wasn’t easy. People wrote us off from the very beginning, but true to Churchill’s advice, we as a company knew that IT WILL ALL WORK OUT! Five years ago, we made a very important decision. We decided to grow the firm beyond a mom and pop shop, and truly expand our impact in the greater community we served. We began looking for agents that deserved something better. We put our heads down, focused on execution and turned our plans into actions – and we did all of this without raising a single dollar from venture capital. 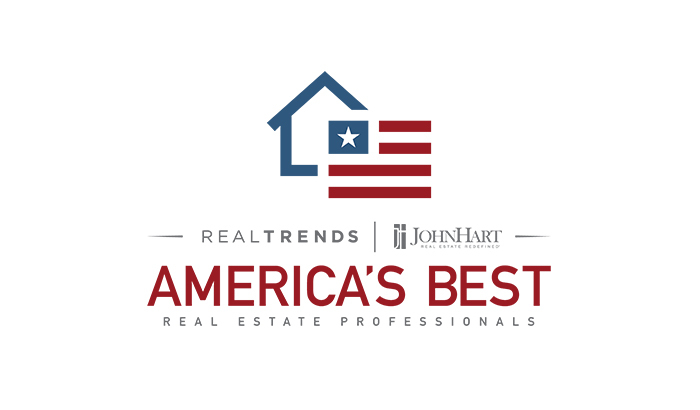 After a few years, I’m proud and humbled to say that we’re ranked in the top 0.1% real estate companies nationwide on REAL Trends, the most trusted ranking publication in the country. As proud as we are, we are more so optimistic and excited about the future of this company. We are one of the youngest companies on the list and the firms ahead of us are national corporate franchises. As the CEO of JohnHart Real Estate, I am most thankful for the team, who comes in day in and day out, understands our mission, but most importantly, believes in it and is steadfast on growing the company and expanding our impact. The show must go on. This announcement is an opportunity for us to take a minute, give ourselves a pat on the back, and be proud. But now, it’s time to sit down and get back to work because we’re not stopping until we are the number one real estate company in the nation. Last year, we opened 3 new offices and we have several new locations already in the works. We are growing and we could not be more excited to serve you with efficiency and the highest quality. For those who have been a part of our journey, THANK YOU! Your trust is what fuels us. For those who have yet to join us, we welcome you with arms wide open and give you the experience of a lifetime. Thank you for believing in JohnHart. We will not rest until we are number 1!